Great opportunity to own near the Lake! Less than a mile to the lake, amenity center and middle school. Affordable starter home or investment opportunity. 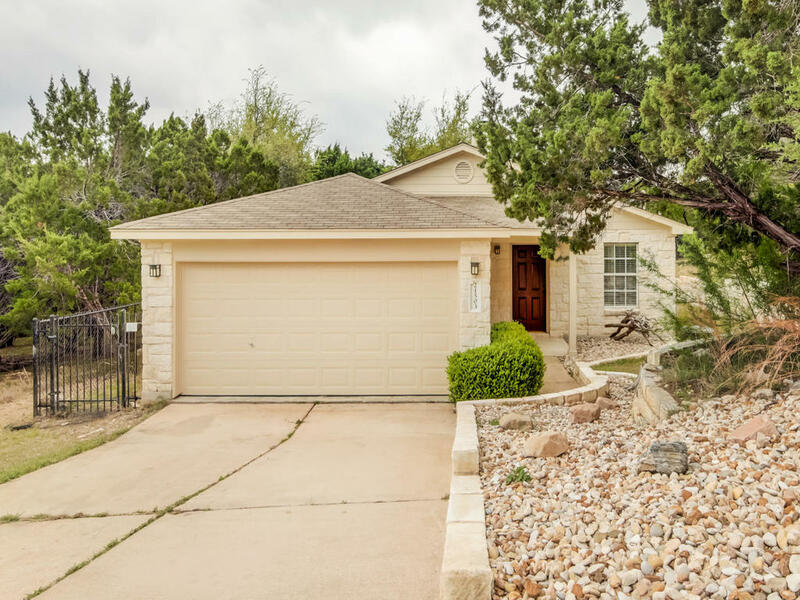 This home is on a large 0.28 acre lot features all tile,big stone fireplace in family room, open kitchen with lots of counters, 2 car garage, 3 large bedrooms, covered front porch and more! Community Amenities include golf courses, pools, tennis courts, boat ramps, and many parks. Contact Eve Cameron at 512-784-3609 for more information.